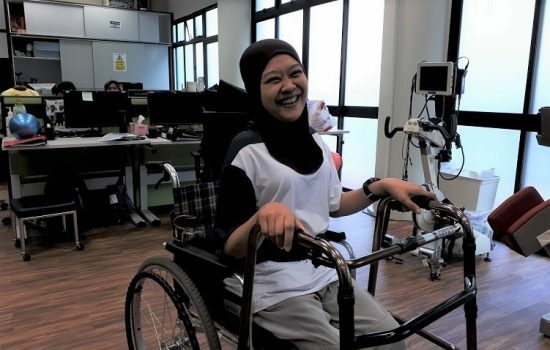 Have you ever been in a situation where you wanted to offer help to a person with disabilities but was uncertain as to what to do? 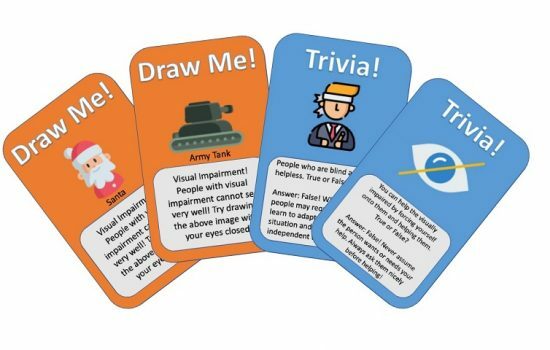 Or have you met someone with a disability but was not sure how to interact with him or her? 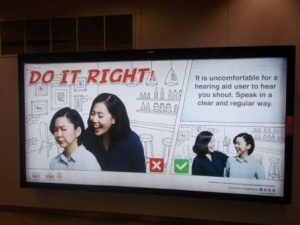 In conjunction with International Day of Persons with Disabilities (IDPD) on 3 December, SPD collaborated with SMRT to encourage more conversations and interactions between the public and persons with disabilities. 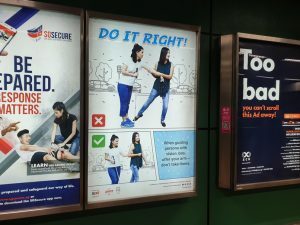 Posters on basic etiquette to observe when interacting with persons with disabilities are on display in 21 MRT stations along the Circle, East-West and North-South lines from now till 19 December 2018. 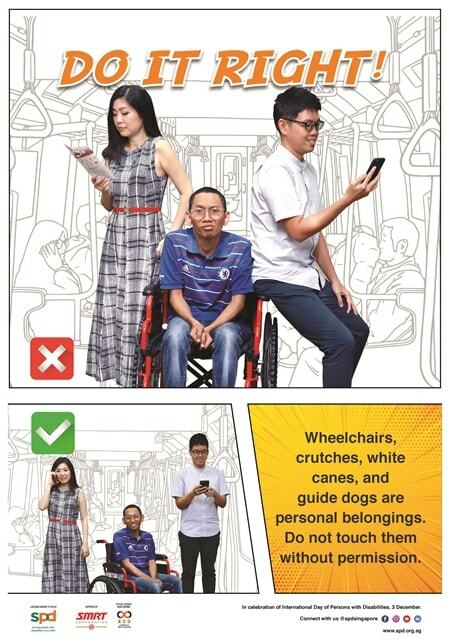 SPD also partnered a group of graduating students from Nanyang Polytechnic on their final year project to produce a video on the do’s and don’ts when interacting with persons with disabilities. 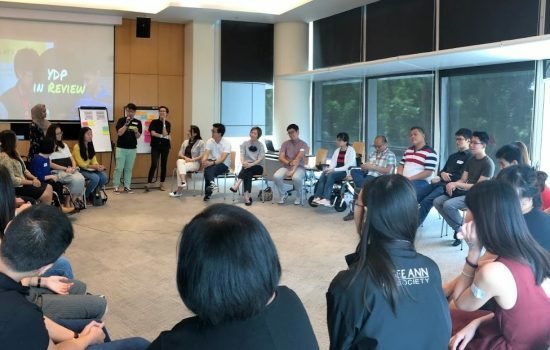 SPD staff and clients took on roles enacting some of the challenges they face in everyday situations and ways that the public could provide assistance. 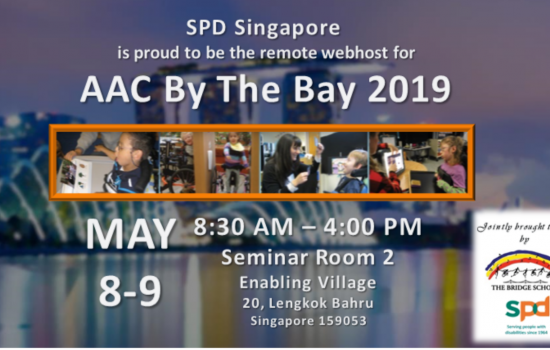 Watch the video and visit the website and be more confident in starting a conversation or extending a helping hand the next time you meet someone with a disability. 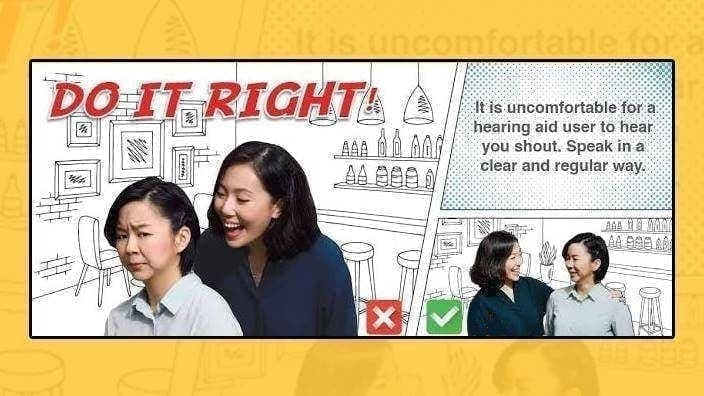 Do it right!